In looking over all the pictures I took this spring and summer I decided to pick my favorites. When I made that decision, I had no idea how many pictures I had taken. Right this minute I have over 800 pictures on my iPhone and most of the pictures are of my garden. That does not include all the pictures I took with my “real” camera. Am I obsessive? Maybe. It took me a little while to pick my favorites, but it sure was fun going through all of them! 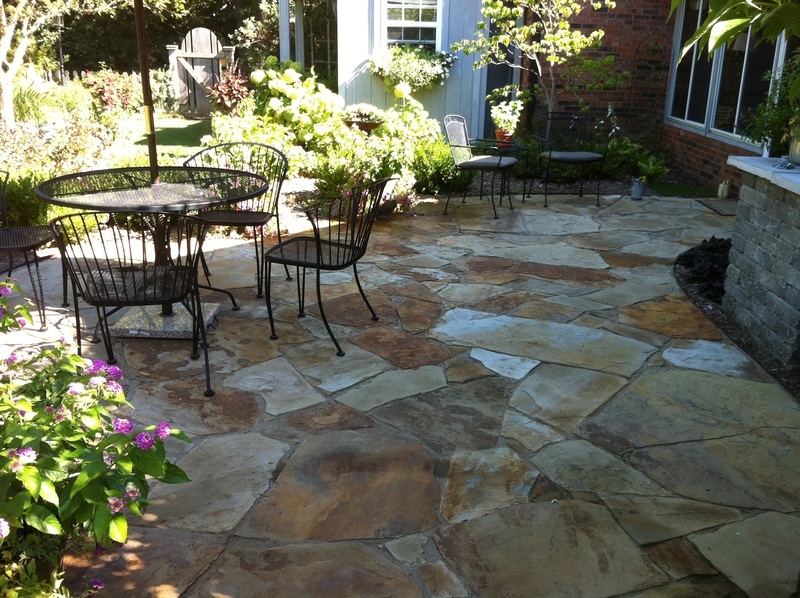 The spring got started with the addition of a flagstone patio to fill the space left when lightning took our 60 ft maple tree (Click for details.). Most of our meals this summer were eaten in our new outdoor room. We couldn’t be happier with it! 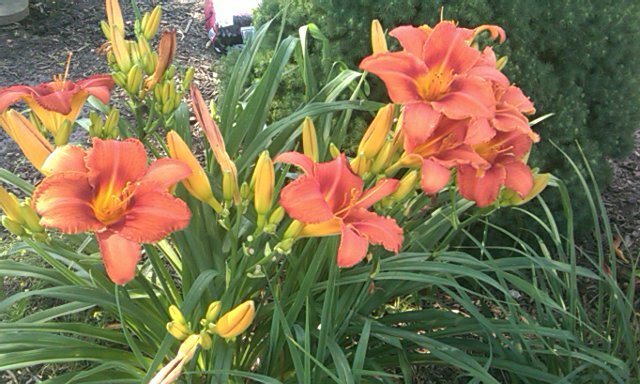 I have several day lilies but the Mauna Loa Daylily was a real standout. 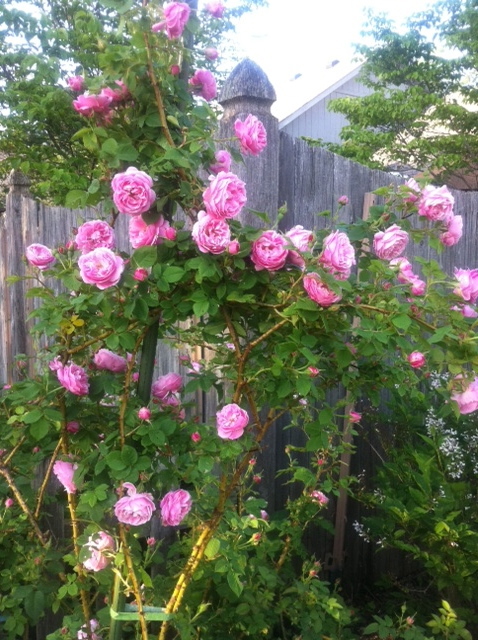 In the early morning my rose garden has a mystical look. Especially when the sun is just right! I never tire of this look! When I dug some iris from a garden area that was being turned into a parking lot (no joke), I had no idea they would be this beautiful chocolate color. Stunning. The Bourbon Queen was so beautiful this year, but she bloomed during “the rainy” season and I didn’t get to enjoy her enough. Probably should frame one of her pictures so I can enjoy all winter. Bill Warriner — a blooming machine — didn’t let the hot, dry conditions stop him. Bloomed all summer with very little down time. I am glad I have more than one of these beauties. 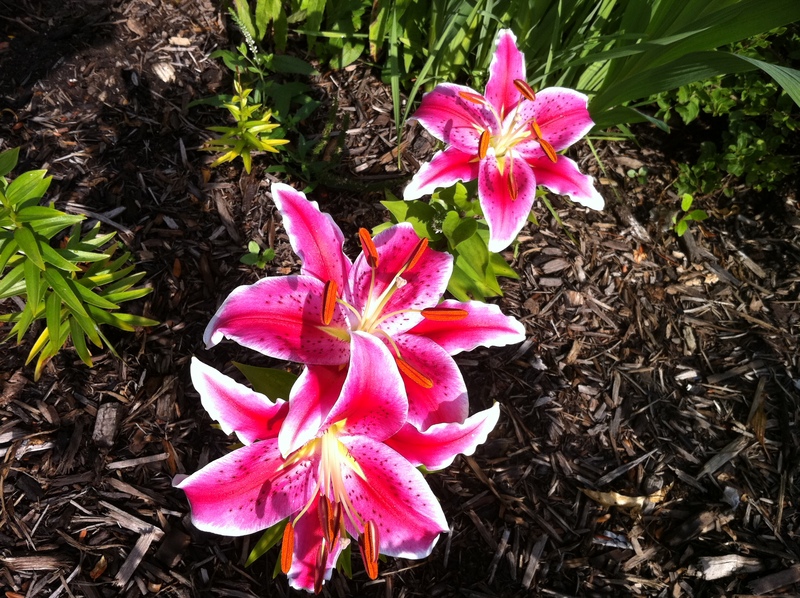 These beautiful Stargazer Lilies were very generous with their fragrance. When they were blooming there was little rain, so we had the pleasure of these lovely blooms for a long time. I wanted to put them in a vase but just couldn’t cut them. Black-eyed Susans in mass are always a show stopper. I love it when they peak through the fence. This container was beautiful all summer. The coleus grew to be 3’tall and very beautiful. The lite green variegated trailing plant is a dorotheanthus (Mezoo Trailing Red) and I highly recommend it! 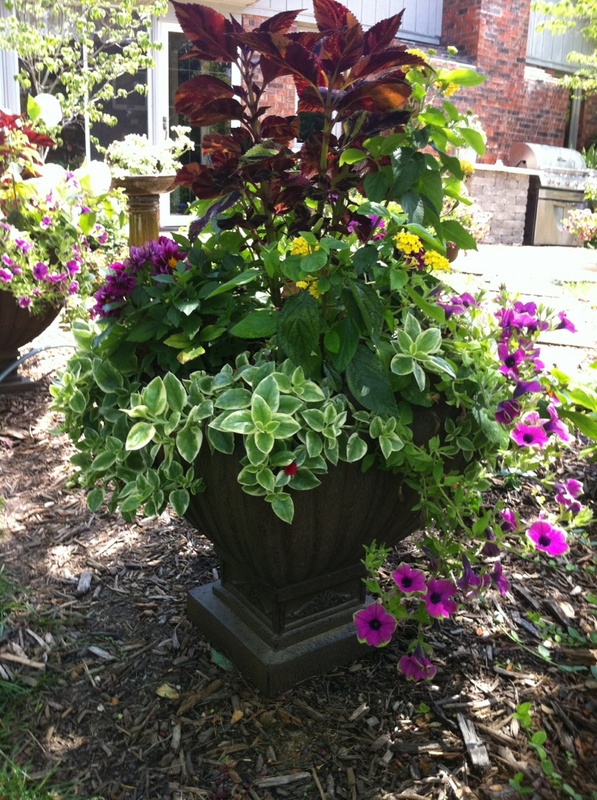 Also in the container are lantana, wave petunias and small dahlias. We weren’t the only ones who love it … so did the hummingbirds. 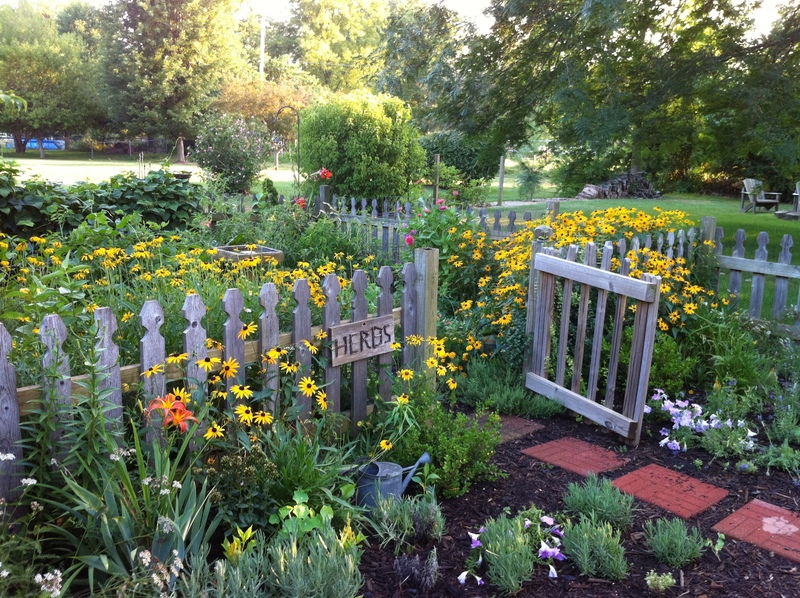 The herbs shared their space with veggies and flowers this year. We packed a bunch of stuff in this space! You can’t see them but there were yummy tomatoes, peppers, swiss chard and a bounty of cucumbers. On the back fence is a bumper crop of McCaslin pole beans. 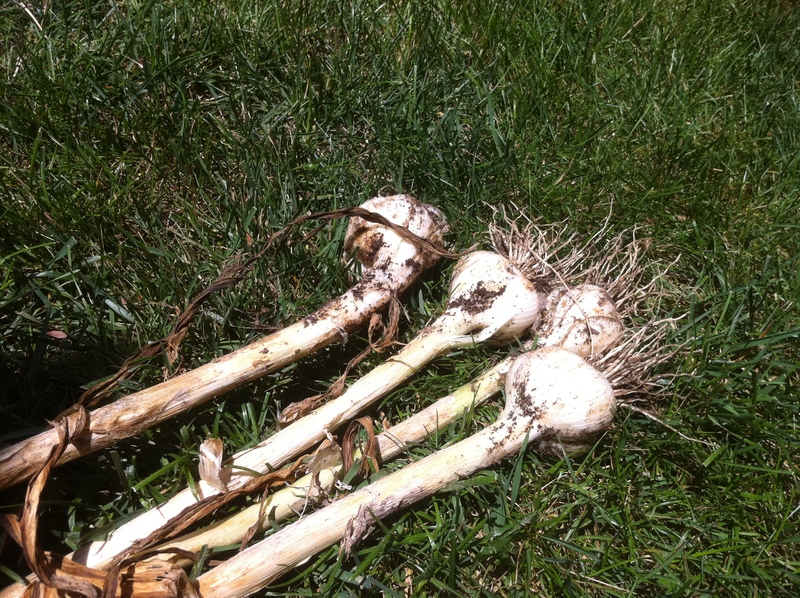 Honorable Mention #1: My first garlic crop… I was so proud! 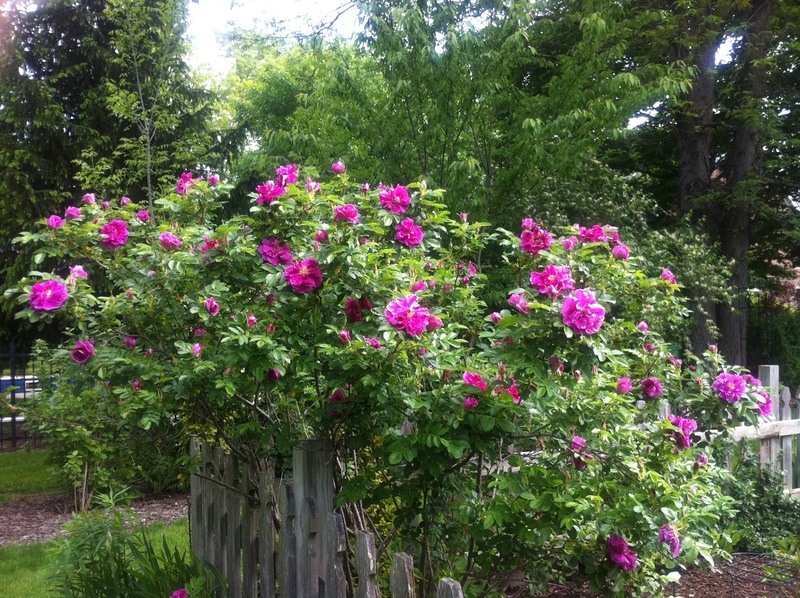 What was your favorite plant of 2011? Or are you like me … you can’t pick just one! Your garden is so stinkin’ cute! 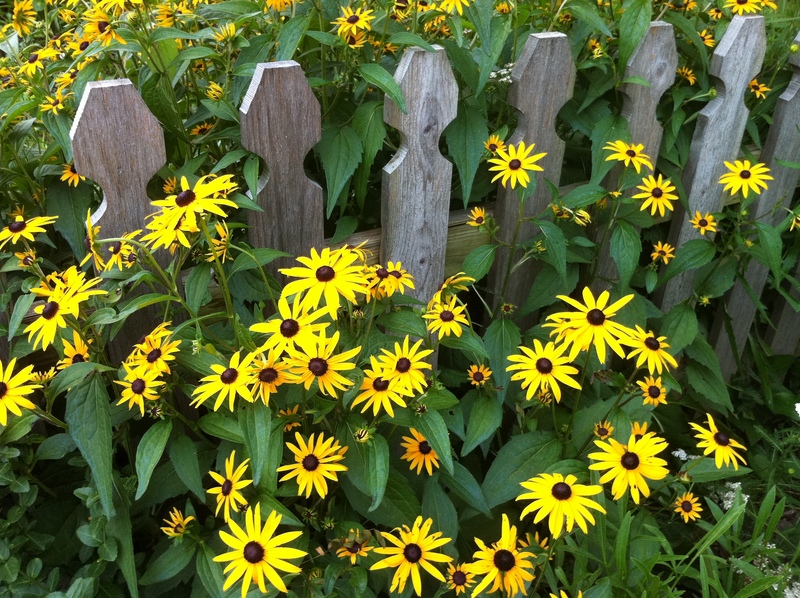 I love those black-eyed susans! 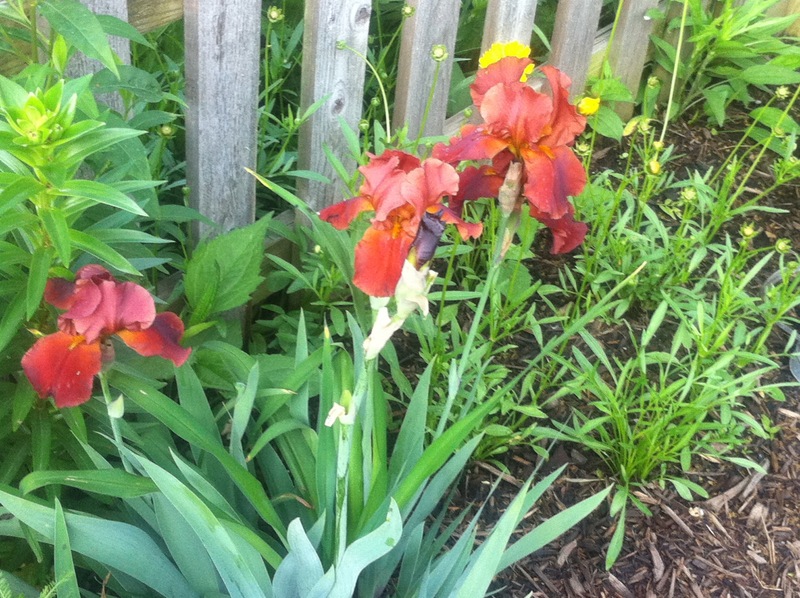 I’m glad you were able to rescue the irises. Thanks Paige. Speaking of cute … those little gardeners at your house are very cute! 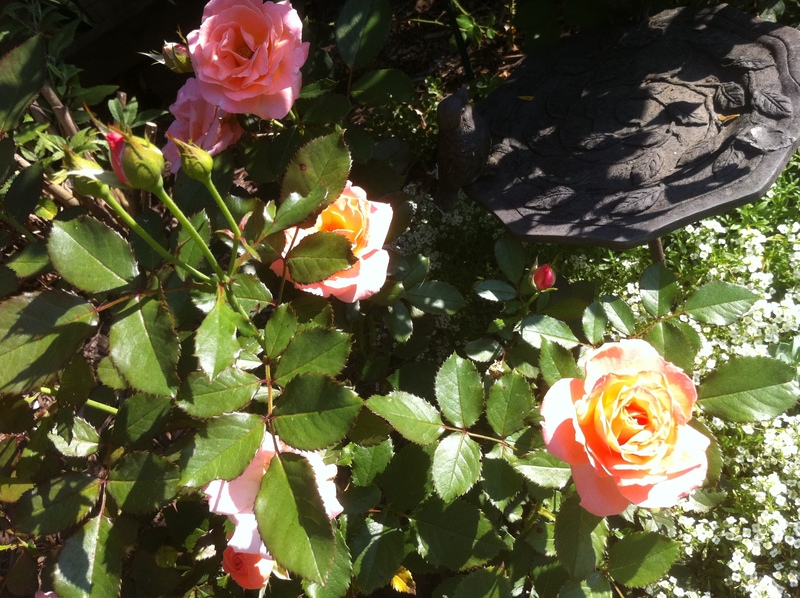 You will enjoy Bourbon Queen and Roseraie de l’Hay … beautiful, fragrant and easy to care for. I think this may be my favorite post yet! Oh my gosh seeing all these photos at once is absolutely AMAZING!!!!! Stunning. Fabulous. Most impressive. Well done. Lacey, so glad you enjoyed! My favorite plant of the season this year is comfrey. I have a plant that continues to produce leaves as long as my arm. I love your fenced herb/veggie garden. It’s so lush and colorful! Honorable Mention #2 is still my favorite, but it is so hard to choose. 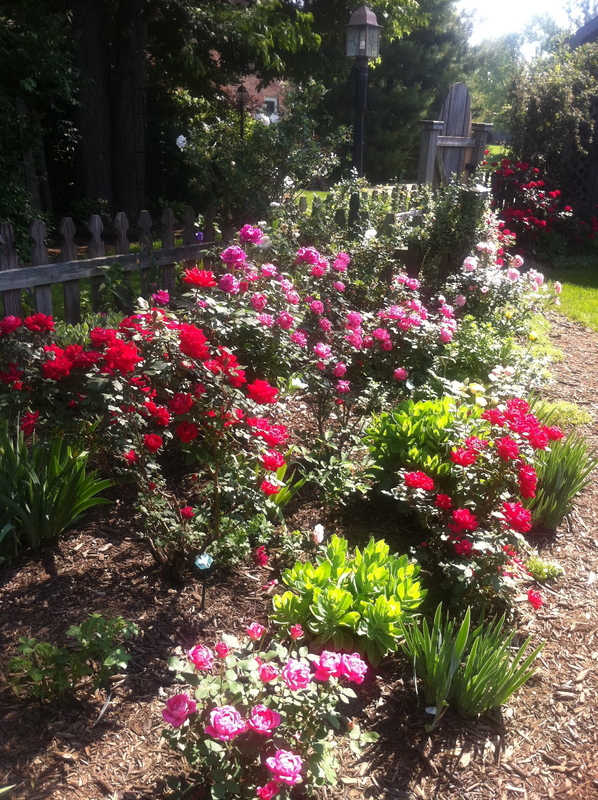 What a beautiful garden you have created. The wonderful containers and your bursting through the fence herb garden! You must have the greenest fingers for miles.